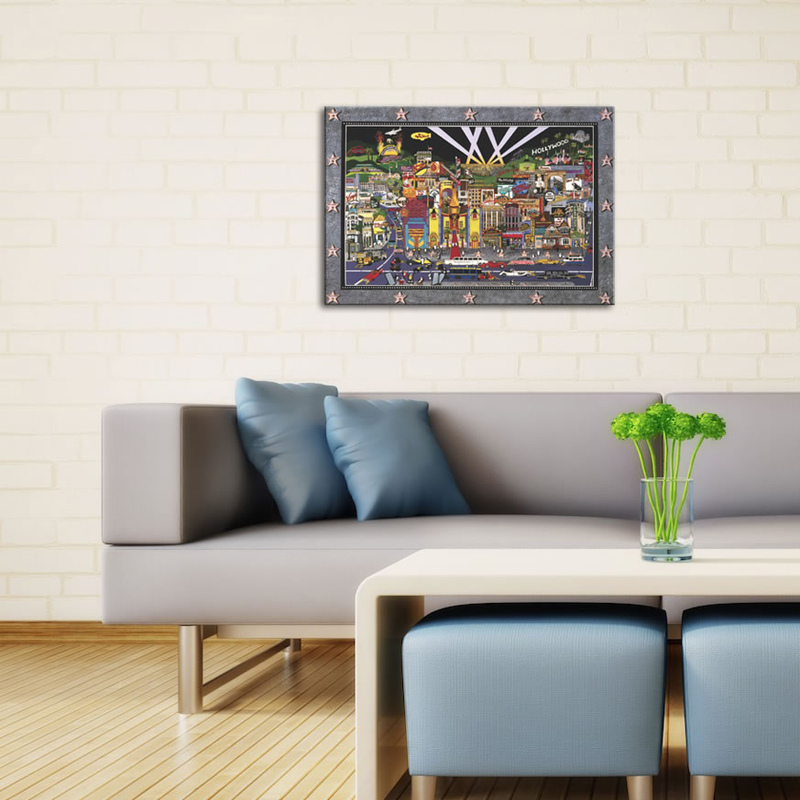 This is a unique hybrid between an extensively researched and carefully reimagined cityscape of Hollywood, California, and a playful, pop art inspired, modern impressionism painting. 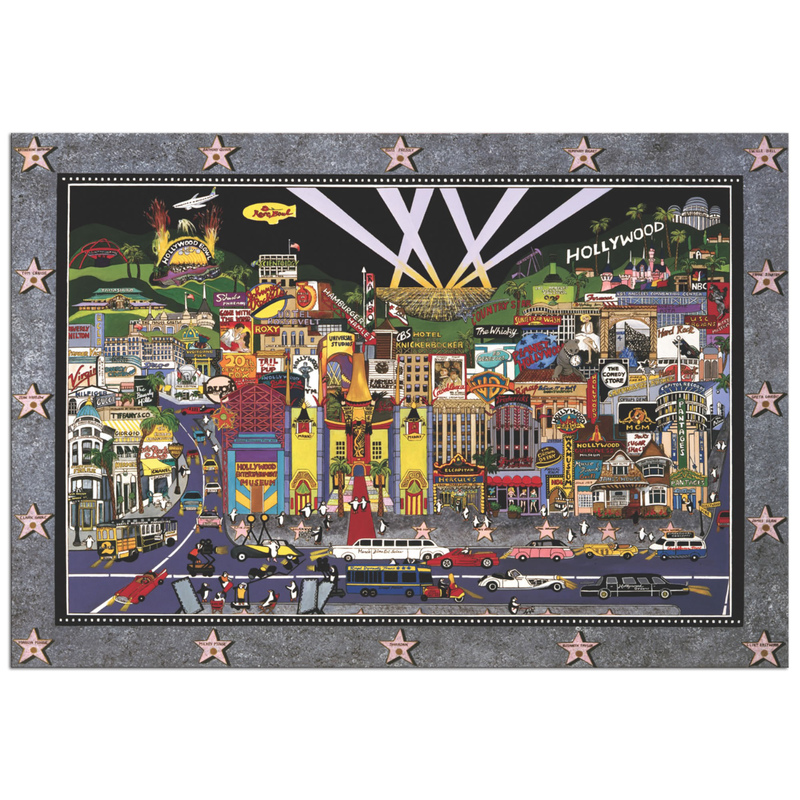 Roxy captures all of iconic landmarks, businesses, buildings, celebrity status and stars that you would expect to see in a Hollywood painting, brought together in a meticulous cluster of colorful life. Roxy, aka Sharie Hatchett Bohlmann, is a world renowned artist with paintings in the White House and the Smithsonian, and collectors including former Presidents Reagan and Clinton, Bob Hope, Larry King, Arnold Schwarzenegger, Donald Trump, and even the legendary Frank Sinatra. Roxy is one of our newest designers to join the Modern Crowd family, with an exclusive collection of fine metal giclees of her paintings.